With field days just on the horizon, I decided to make a couple of Balun (common mode choke) for field day use. I often use a vertical for 7 or 3.5 MHz, and a 1:1 choke is needed to stop the feeder becoming part of the antenna system. Sure you can purchase them online, but your never sure of the quality or the power handling and they are easy to make. You will need a suitable box, ferrite toroid (FT240-31) is good for the lower HF bands and some coax. The type of coax you use will depend on the power handling, RG58/RG316 would be fine for 400w but if you want some margin for error then RG142 is a better choice. The RG142 is quite expensive, but its capable of much higher power handling and it has a PTFE centre insulator. The coax typically costs around £5 per meter, and 1 meter should be sufficient for a single core balun. FT240-31 Toroids cost around £9 each, so a typical project would cost around £20 for a single toroid or £30 for a double toroid QRO version. If you purchase one already made they cost around £40 to £60 depending on the power handling. Once assembled you should have something like this. 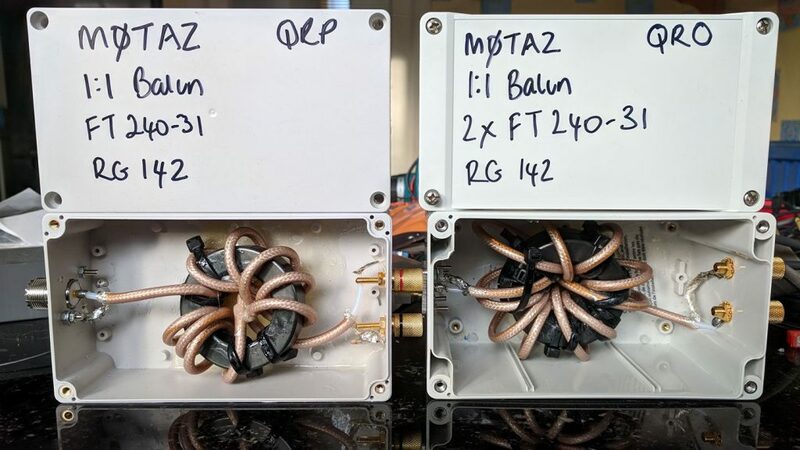 The “QRP” version is good for 400w, the QRO version is good for 1KW. 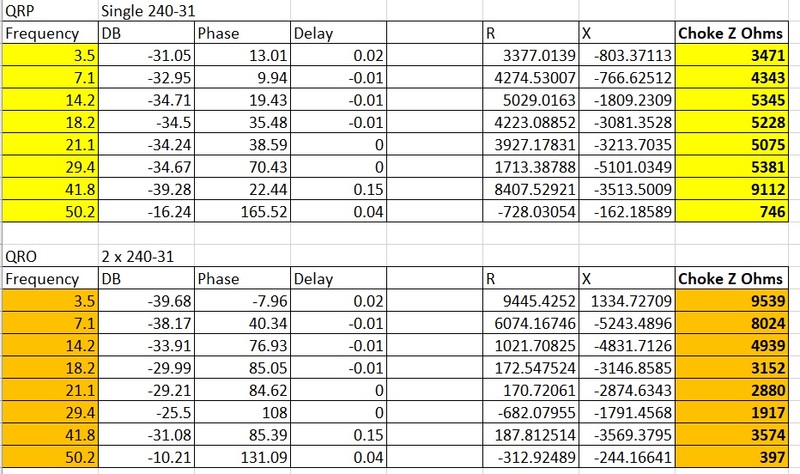 Steve explains in his article how you can measure the choke impedance, and he provides some measured data showing the effectiveness of various combinations of ferrite and number of turns. This gave me the idea, how hard would it be to measure the choke impedance at various frequencies? Turns out it’s not as simple as you think, the first try with a VNA produced some interesting but mostly meaningless figures. It turns out you cant just sweep the choke with the VNA as it presents very high impedances outside the range where the analyser can be expected to be accurate. The VNA can be used, but the results will require some further maths before meaningful data can be obtained. 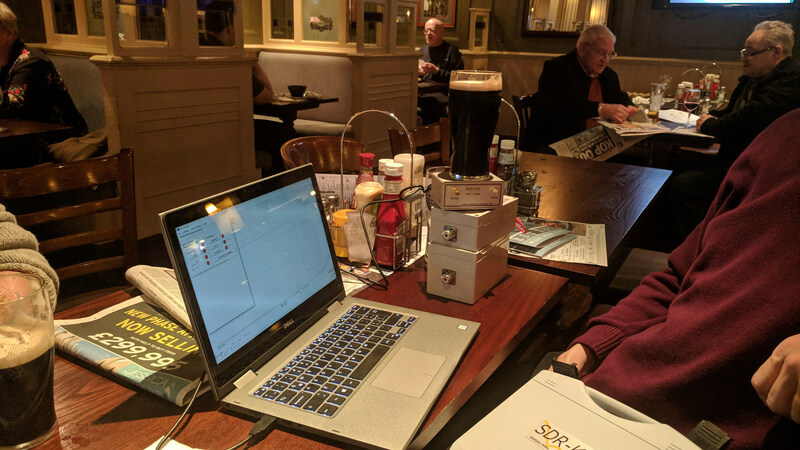 At our recent radio pub meeting, I asked Dr David Mills (G7UVW) if he could assist, and he completed the measurements and the maths! Thanks, Dave. VNA plot QRO 2x 240-31 Torroid. And now for the measured data, you are looking at the frequency on the left, and choke impedance in ohms on the right. We would typically say anything over 3,000 is very good. 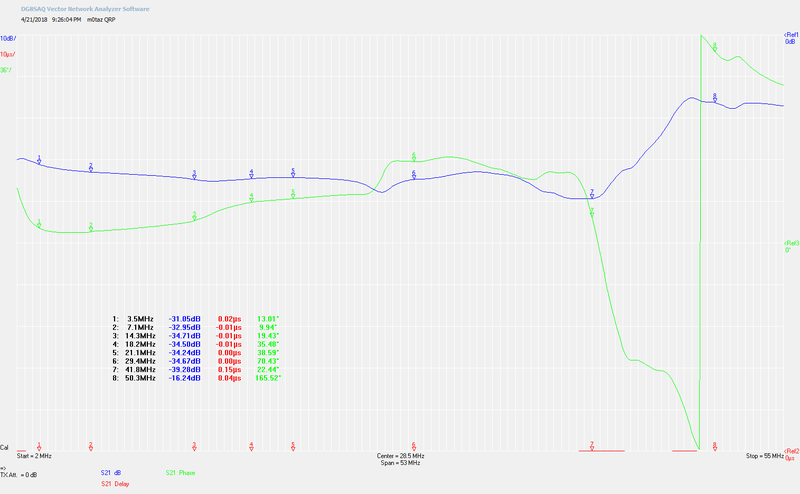 As you can see both the chokes work very well over most of the HF spectrum. The target for me was to have something with very high choking impedance below 14 MHz. Thanks to Dave G7UVW for his assistance, and I leave you with a picture from our radio pub meeting. At last, the warmer weather has arrived, today gave me the first opportunity to operate outdoors without a coat. It was a pleasant sunny afternoon so I decided to operate outdoors and make the most of the nice weather. Using the Icom 7100 and 65Ah leisure battery and a white stick for 145 MHz and slim jim for 70 MHz allowed me to work a number of local stations. The 70 MHz Slim Jim is mounted on the fibreglass pole on the right. 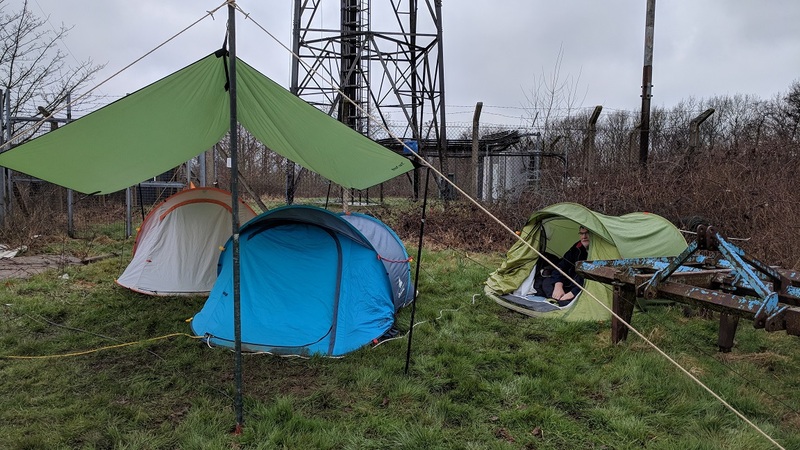 The metal mast on the right had been given to me by Richard G4DDP and it was its first chance to try it out in the field. Its very heavy duty, and I think would have originally been designed to take a speaker at a gig, now upscaled to amateur radio. On 145 MHz I worked M0FAQ Martin in Braintree, M0WJL Gordon in Corringham. 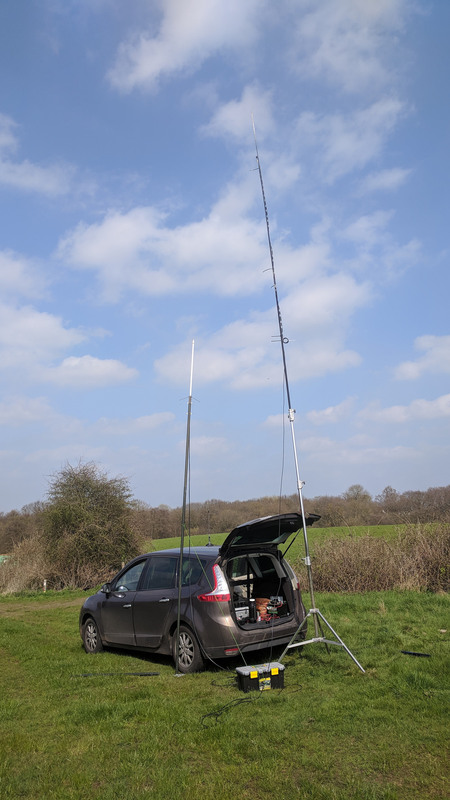 On 70 MHz I worked 2E0HPA/M Andy in Tadlow, G4YBI Paul Rainham, M0XTA Selim, G0ENN Southend. 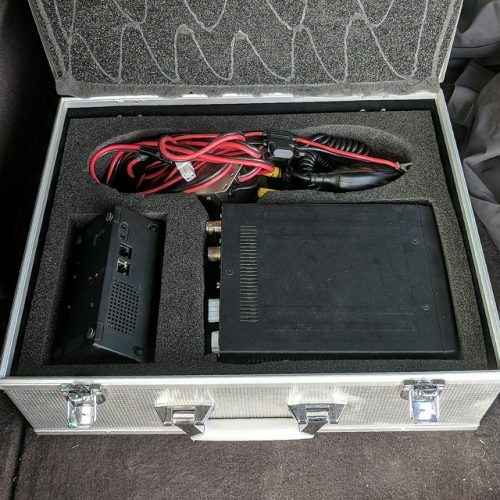 The Icom 7100 all packed up in its travel box. Easter weekend is often the start of the better weather and lighter evenings, so provides a chance to go out portable for the first time in the year. Unfortunately, this bank holiday weekend in true British tradition was wet and cold with rain forecast and temperatures soaring to a tropical 7C. 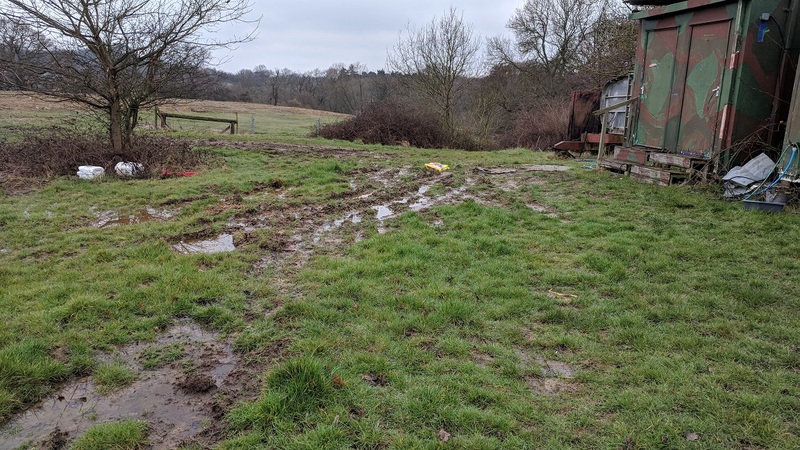 This didn’t stop Chris G8OCV, George M1GEO and myself from camping over although it required careful positioning of the tents to prevent localised flooding! 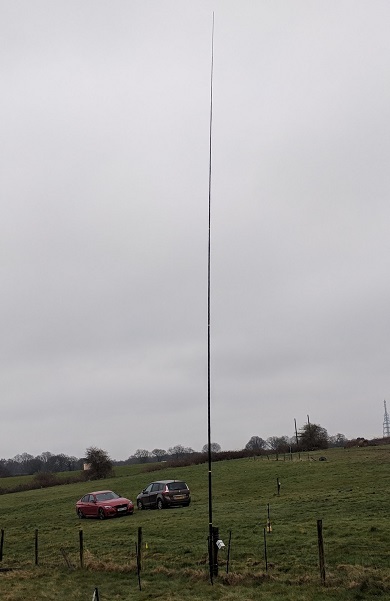 We set up an 80m doublet sloping from 35 meters off the tower, and a 40m ground mounted vertical with elevated radials. The 40m vertical used a 12m spidebeam pole, although we sometimes used the green push together army poles depending on the weather. 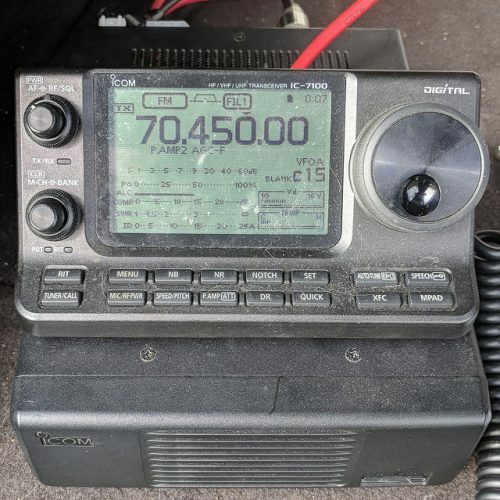 We also had the chance to try out the new Icom 7610 transceiver, and this performed very well on both receive and transmit. 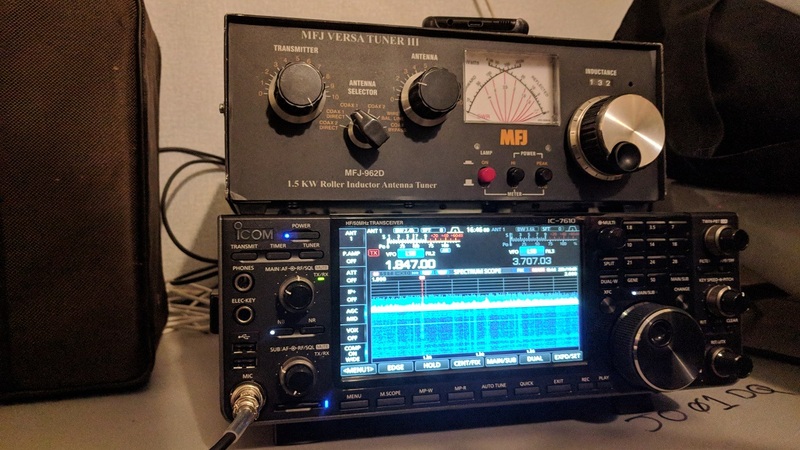 I concentrated on 40m, using the 7610 and expert linear amplifier to develop 400w, and found band conditions to be very good in the late evening and early mornings. On Sunday morning I decided to get up around 6.45am and was really pleased to work some nice early morning DX. ZL3CHE Willem was the first DX of the morning, located near Christchurch. Willem was using 600w to a ground mounted vertical and was a great signal. 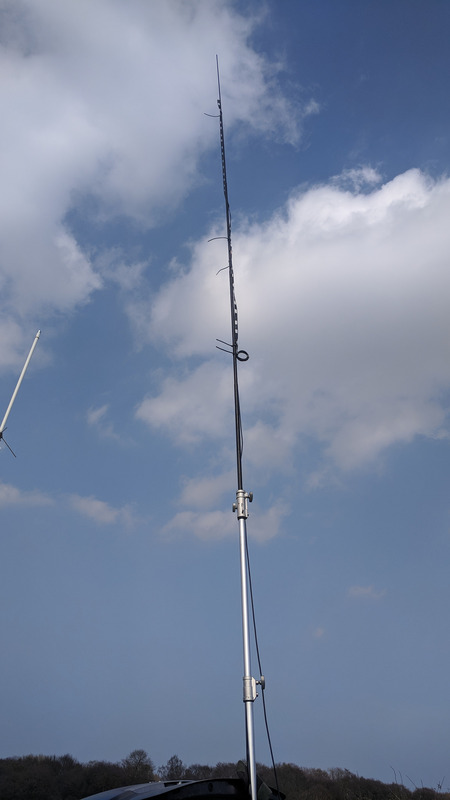 VK3FT Keith was very strong from near Melbourne Australia, and he was using a rotary dipole at 20m on his tower. A very enjoyable weekend, and always nice to get some DX on 40m over the weekend I was able to work around 27 DXCC.